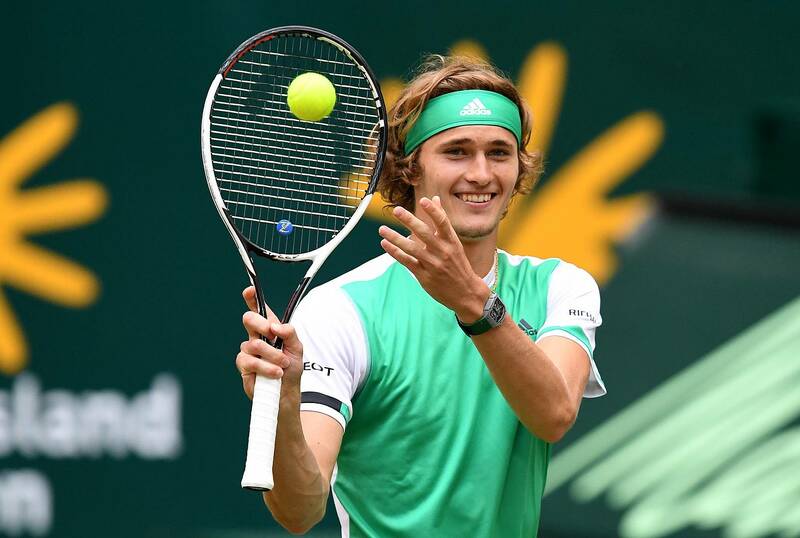 A German professional tennis player and the son of former Russian tennis player Alexander Zverev Sr., Alexander Zverev Jr. has lately received huge recognition being the youngest player ranked in the top 10 by the Association of Tennis Professionals. Only aged 21, he has already won 10 ATP titles in singles and one in doubles and is a reigning champion. People who follow Zverev Jr., mostly girls, might be willing to know if the tall and handsome tennis star is married or is taken by someone. We have the info about his love life and girlfriend below here but let me reveal right away that the blonde-hair athlete is actually dating a girl. Is Alexander Zverev Jr. Married? Who is he currently Dating? No, Alexander Zverev Jr. still unmarried. However, he is in a relationship with his girlfriend Belinda Bencic. The couple is reportedly together since 2015 but were known to each other for a long. She was first seen on Zverev's social media post in 2015 during their tennis break. However, they were rumored to be seeing each other since ITF Junior World Champions in 2013. Zverev Jr. and Belinda have quite a lot of things in common. are 2 of the most interesting prospects in tennis. They are the same age, and they know each other for (relatively) long time. They are ITF 2013 Junior World Champions but this is not everything. Like Zverev, Bencic is aged 21, and she was born on March 20, 1997, in Flawil, Switzerland but is exactly a month older than her rumored boyfriend Zverev as he was born on April 20, 1997. Bencic turned professional in 2012 at the age of 15 beginning to play tennis at 4. Belinda is currently ranked no.37 but has reached world no.7 in ranking in February 2016, which is her best till date. She has also claimed victory over some of the world's top players like Serena Williams, Caroline Wozniacki, Ana Ivanovic, and Simona Halep - while notably partnering countrymen Roger Federer in a doubles competition. In 2015, she went on to win the Rodgers Cup and was also the winner at Aegon International in Eastbourne the same year. Tennis player ATP Alexander Zverev Jr.